Medical Gas Piping | Tacoma Plumbing and Heating Inc.
Tacoma Plumbing and Heating, Inc. is skilled in all types of Medical Gas and High Purity Pipe installation and implementation projects. 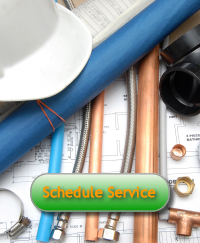 Our plumbers are certified to install or renovate any component of your medical gas delivery system. We follow strict guidelines and make use of proper codes, standards, and procedures when designing, installing or maintaining medical gas piping. Following installation, our commissioning experts will ensure all systems are performing to expectations, so you can be certain that it will be fully functional and code compliant upon completion of the project. The Tacoma Plumbing team includes one of the largest staffs of certified craftsmen available to perform medical gas pipe related services. The ability to deliver our high-purity piping systems into clean rooms, laboratories and highly sophisticated medical facilities has established Tacoma Plumbing as the premier provider in dental offices, laboratories, surgical suites and aerospace facilities. Several of Washington’s top hospitals and a variety of medical facilities across the state have been built by Tacoma Plumbing.